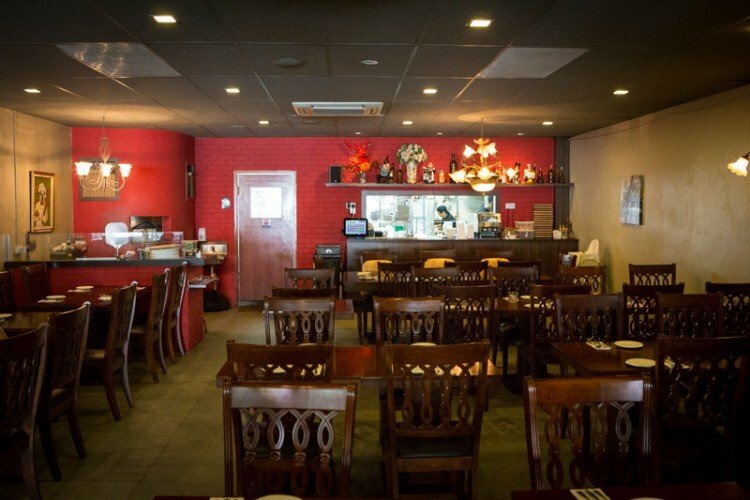 If you’ve ever seen a bubbly Chinese chef on TV explaining Italian cuisine, that would likely be Peter Neo, head chef and owner of Pietro ristorante. At the trattoria that seats 88 pax, highly competitive 1-for-1 lunch deals are offered. Chef Neo also shares that his kitchen is open to customizing its dishes, and has at a few occasions prepared for the uninitiated the likes of Hokkien Mee using its pasta (it’s a special request though not available to just everyone). A giant illusory painting of Pietro Ristorante Italiano abutting a river holding a single unmanned gondola faces the alfresco area that looks out to a placid residential street in Yio Chu Kang. Inside of the simple restaurant, an open kitchen and visible brick oven sometimes get its share of patron viewership. Upon our arrival, Chef Neo cheerfully informed us that he would personally begin the masterful preparation of his recommended dishes. Calamari Fritti ($18). 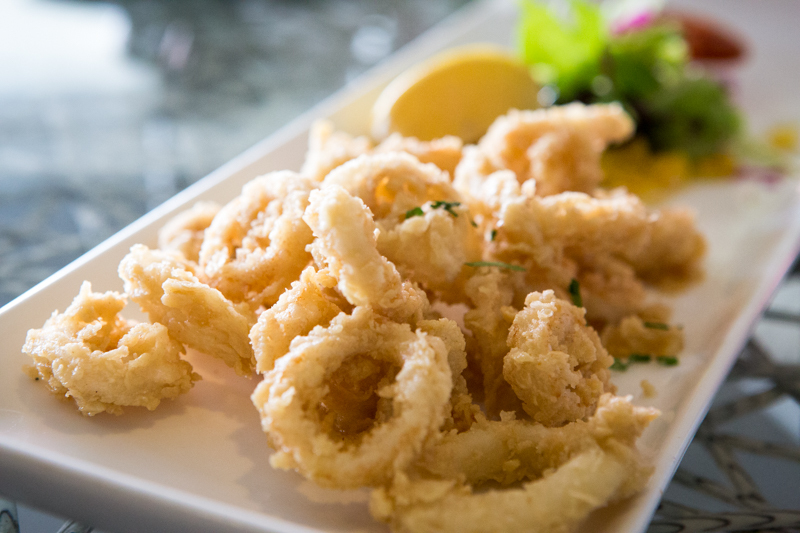 The start of the meal saw the serving of this freshly made calamari. Although crispy and hot in texture, the squid rings could use a bit more seasoning, and the salsa on the side did not appear to spruce it up too much. Funghi Portobello ($20). 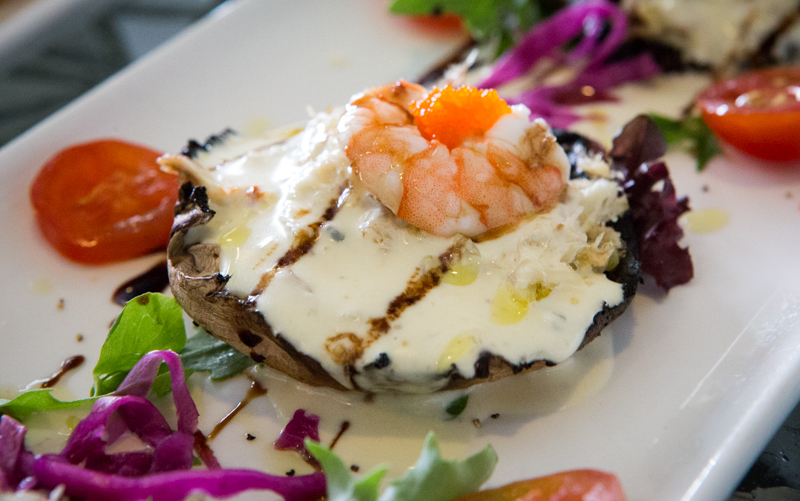 Nothing piqued my interest more than this delightful-looking appetizer that essentially is a prawn that sits on rich gorgonzola cheesy sauce over a fat portobello head mushroom smeared with crab meat and roe. To me, it tasted as amazing as it visually appeases, both a rarity and a must-try here. Linguine Aglio Olio ai frutti di Mare ($24). 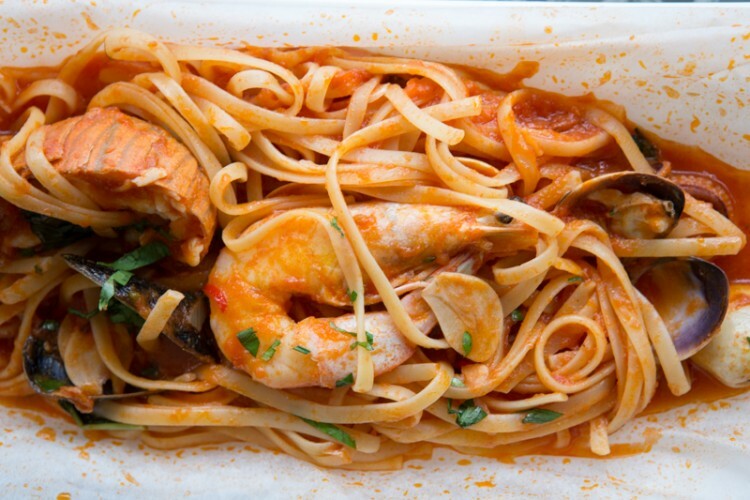 Though available by request, this pastais by default not exactly al dente, yet it has been perfected to attain a texture that will sit well with many locals who prefer a softer bite. Adequate use of oil and garlic gives the main a brilliant salty touch that is delicious with the cockles, squid, and shrimp. Very flavorful stock base indeed. 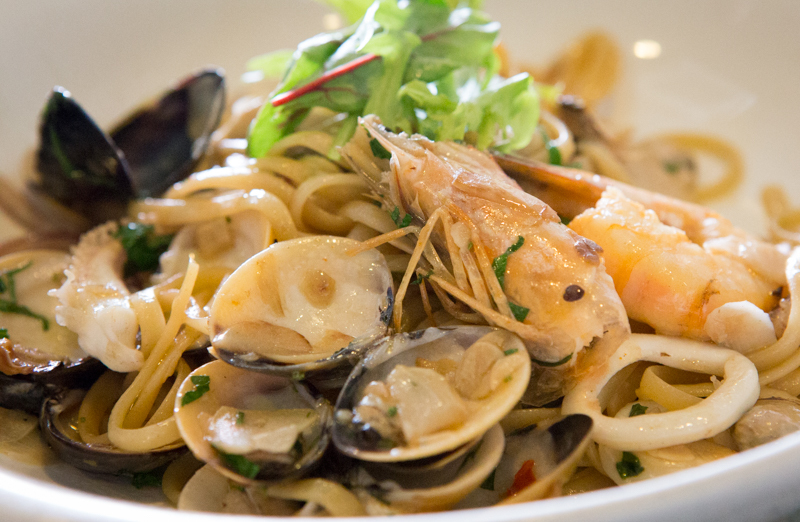 Linguine al Cartoccio ($28). 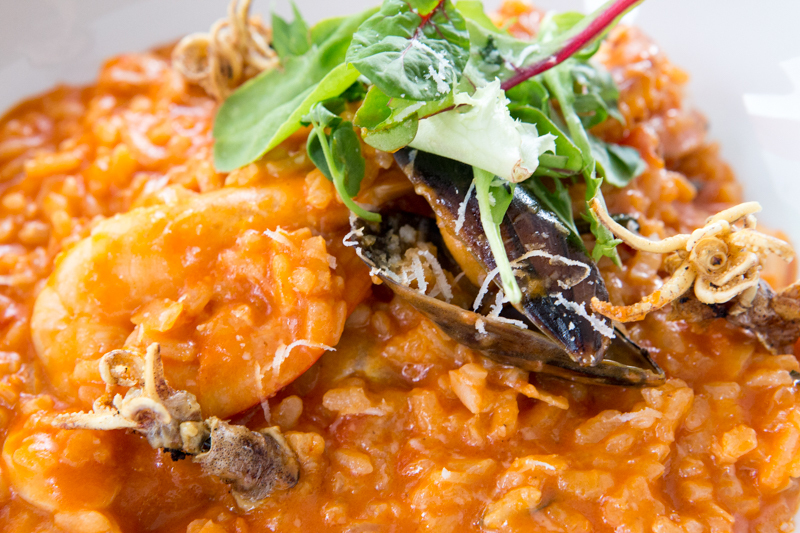 This dish uses tomato base that wholly coats each component with the addition of crayfish and an assortment of seafood. The base used here was very much to my fellow colleague’s palate, which is simple yet rich. Risotto alla Pescatora ($25). Call it an inconsistency of mine, but there is something more enchanting to the tomato base of this risotto than the linquine. Perhaps it is is the squid (served in both deep fried and steamed) and clams that adds a oceanic punch to the tangerine lacquer on the rice that we decided to be nicely soft to the bite. Quattro Stagioni ($24). The specially made crust is designed to be hollow and thus very crisp and light for this brick-oven-baked variant that Pietro makes. 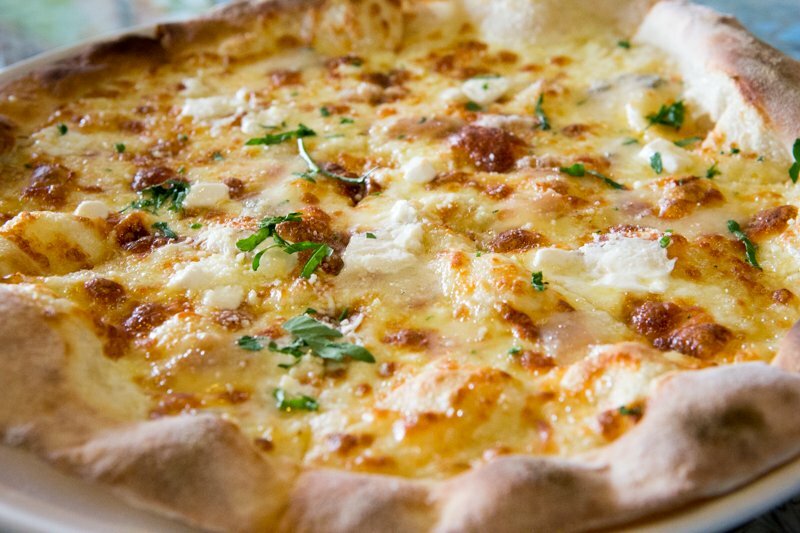 What we have here is the 4-cheese skinny pizza that is characteristically flaccid yet lusciously packed with ingredients to certainly please “cheesy” fans. Pancetta Arrosto ($26). 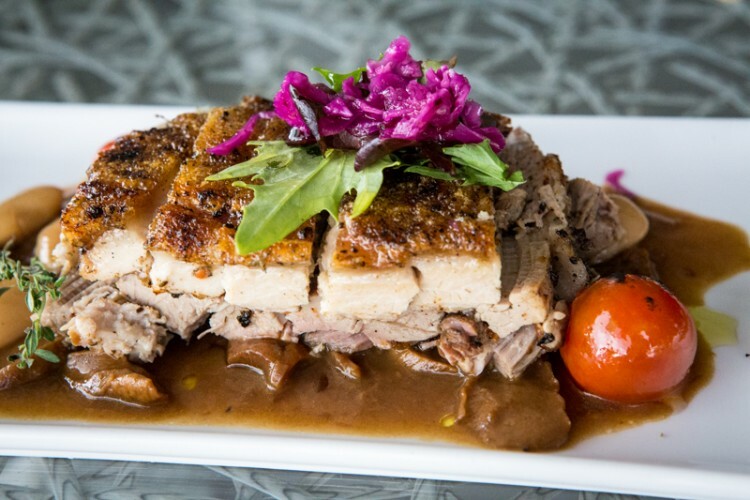 Around the prosperously tender roasted pork belly with excellently crackled skin is a mix of porcini mushrooms, kidney beans, and cherry tomatoes that crumble at the touch. It might be due to the contentious saltiness and tenderness of the dish that spurs the complimentary side of apple sauce, which likely counteracts any prior heaviness. Nonetheless, I liked the pork belly very much which is very tender. Costoletta di Pollo al Pepe Rosso ($24). Considerably lean chicken in a savoury gravy used for this is surprisingly easy on the bite. 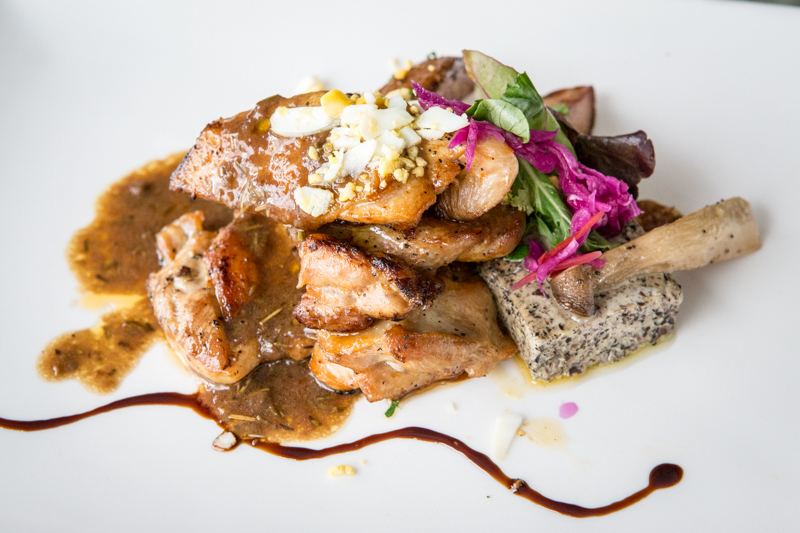 The mysterious block that lies on the side of the chicken appears to look like a breed between dragonfruit and pate, but later revealed to be a rather unprecedented mushroom pudding. While rather novel, I prefer my mushrooms au naturel. Tortino di Lava al Pistachio ($15). 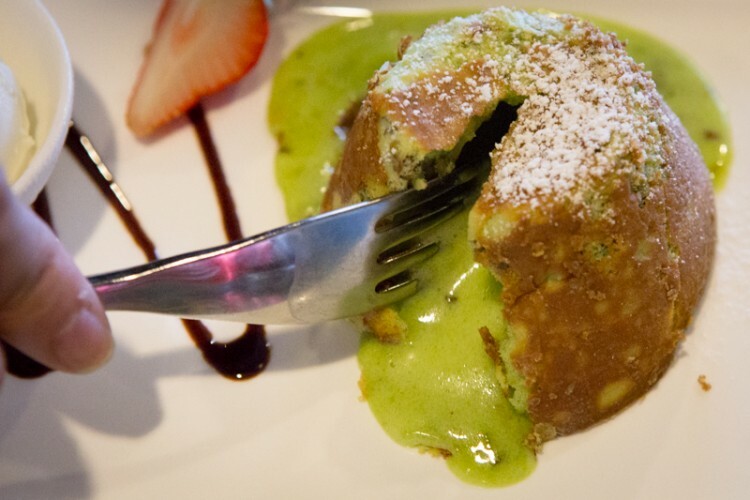 Pistachio lava cake for you? Served aside strawberry and a vanilla scoop, the slimy lava features an intriguingly rich essence of pistachio that is immediately warming. Tortino di Lava ($15). The classic chocolate version is also pretty thick and intense in cocoa flavour that complements the ice cream splendidly. The number of accolades accumulated by celebrity Chef Peter Neo is astounding. For its creative and diverse spread that extends to its litany of displayed awards, Pietro impressed me with fairly affordable yet tasty Italian cuisine. Many of the items including pizza and pasta are also available in a 1-for-1 deal during lunch time, luring many office workers to this area despite its more isolated location. Who says Singaporeans can’t do good Italian food? 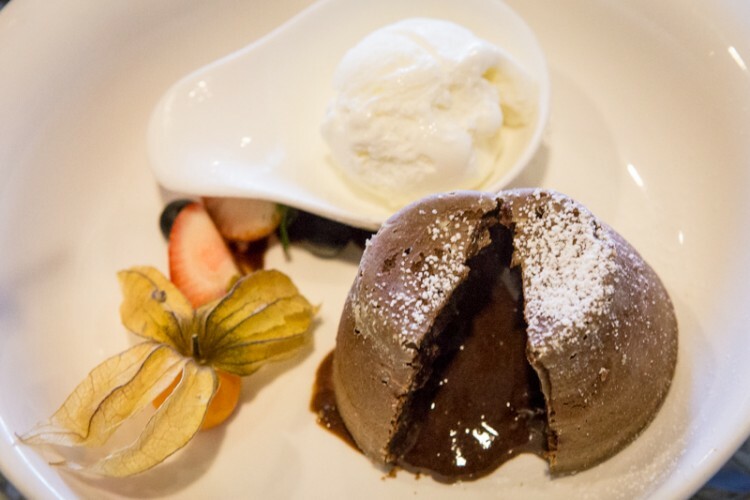 Chef Peter Neo has shown his capability at adapting to the local market with his long years of culinary experience working in classic Italian restaurants.